« What’s the deal with…Cold Duck? 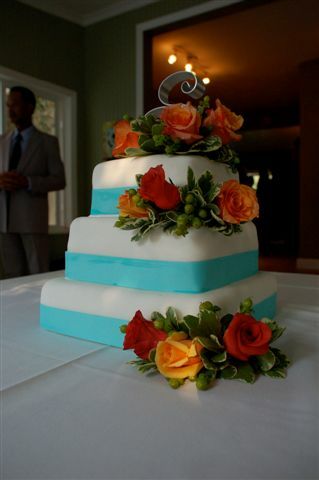 These took 3 days to do but in the end I was proud, the couple was happy, and the cake was loved. The Top layer is Carrot Cake with a Whipped Cream Cheese Filling. The Middle is Red Velvet with a Whipped White Chocolate and Cream Cheese Filling. The Base layer is White Chocolate with a Lucious Key Lime Filling. 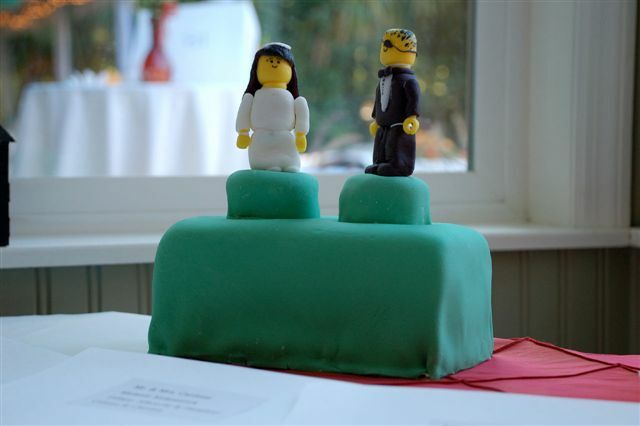 The Groom’s Green Lego Cake is a Guinness Chocolate Cake frosted with Guinness Ganache and covered in a colored fondant topped with their Lego likeness done entirely from fondant and magic. This entry was posted on October 29, 2007 at 5:53 am and is filed under Cooking at Home, Personal. You can follow any responses to this entry through the RSS 2.0 feed. You can leave a response, or trackback from your own site. there are key problems with tying to buy a normal wedding dress when you are expecting. They have a range of elegantly designed wedding dresses to choose from that are sure to be in your budget.